Martin Leigh is awarded Top Poster Presentation at BBC 2019! Congratulations to Martin Leigh for receiving the Top Poster Presentation award at BBC 2019 for his poster "MAGL inhibition in the ventral tegmental area and nucleus accumbens enhances responding to reward predictive cues"! The awards covered all expenses to attend the BBC conference in San Antonio, where Justin presented his latest data on endocannabinoid regulation on hedonic and homeostatic feeding, while Martin presented his work with MAGL inhibition in the VTA and nucleus accumbens and it's effects on responding to reward-predictive cues. ​Congratulations to Ajay Baindur for matriculation to UB School of Medicine! The Bass Lab is pleased to welcome Postdocs Mauricio Suarez and Justin McGraw to our team! Congratulations Ken Wakabayashi for winning a poster award at the annual Postdoctoral Research Symposium! 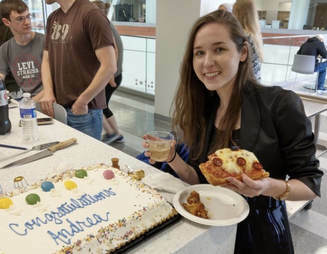 Congratulations Andrea Shield for the successful defense of her thesis! Andrea presented her findings on how chemogenetic activation of VTA GABA neurons influences ethanol self-administration, extinction, and temporal processing. Looking forward to see how she continues to grow as a scientist. She’s moving back to Florida soon, so if you are looking for technician or PhD student you should call before she gets scooped up! 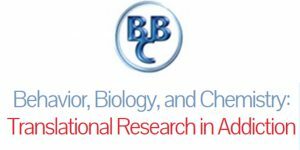 ​Congratulations to James Lee for matriculation to UB School of Medicine! The lab’s first preprint! GLP-1 agonist Exendin-4 disrupts responding to reward predictive incentive cues in rats. In this paper we demonstrate that EX4 disrupts responding to incentive cues while motivation for the cue appears to be intact. There is also an interesting interaction between dose and timing of the effects. The nature of the behavioral disruption appears to be dose dependent. ​Our first VTA GABA paper is out in NPP! 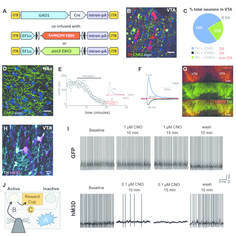 In this paper we demonstrate clearly that activation of VTA GABA disrupts responding to reward predictive incentive cues. Caroline Bass wins a childcare grant to the semi-annual FENS meeting in Berlin! This innovative grant was developed to support the FENS 2018 attendance of ambitious young scientists with children. The FENS-Kavli Network will provided 29 grants to be spent flexibly on extra childcare at home, travel of kids and carer to FENS or travel of a carer to your home for childcare during the FENS Forum 2018. All attendees with dependent children were eligible. The awards covered all expenses to attend the BBC conference in San Antonio, where Malte presented his latest data on mesoaccumbal GABA projections in reward processing, while Martin presented his work with monacyl glycerol lipase inhibitors. Caroline Bass is awarded a Whitehall Foundation Research Grant! Funds will be used to map mesoaccumbal GABA projections and their role in reward learning. In this paper we show that experimentally decreasing the D2 receptor from the VTA shifts the delay discounting curve, indicating the rats are more impulsive. ​Andrea and Ajay win research awards! Andrea's application to work on translating RNA affinity purification (TRAP) was funded by the Mark Diamond Fund. Ajay was also funded to examine how the endocannabinoid system influences processing of incentive cues. Daniel wins an undergraduate research excellence award at UB! Daniel received the UB Undergraduate Award for Excellence in Research, Scholarship and Creativity for the school of medicine. The award recognizes outstanding contributions that achieve superiority in presentation, content and scope. University at Buffalo researchers have helped discover a sleep-promoting circuit in the brainstem, revealing how we fall into deep sleep — findings that may lead to new therapies for sleep disorders. 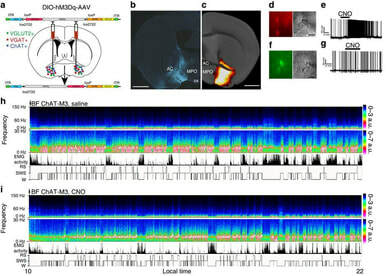 This is the second sleep node discovered in the brain. Our paper showing that tonic dopamine release blocks alcohol binge drinking, likely by disrupting environmental ethanol associated cues.